EaseUS Todo Backup is probably the best backup and recovery software available in the market. And the best thing about this product is that it actually works. EaseUS is keeping this software up to date which shows the seriousness of the company to provide the services. EaseUS Todo Backup comes with a lot of features to keep your data secure and backed up all the time. Here are some of the main features of EaseUS Todo Backup. Todo Backup supports full System Backup. Which means you can backup your applications, all files and even operating system to just one compressed file and then you can restore it later any time. It also supports File Backup to allow you to backup only selected files and folders. This also includes shared files on the network. You can also restore the selected files to a new location. 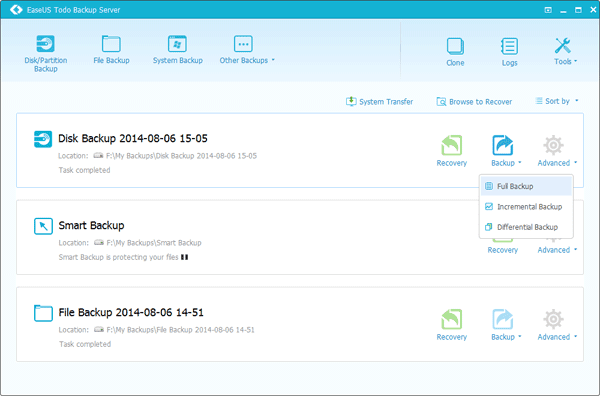 EaseUS has built-in backup management, which means that it will automatically delete out of date backup files to save disk space. 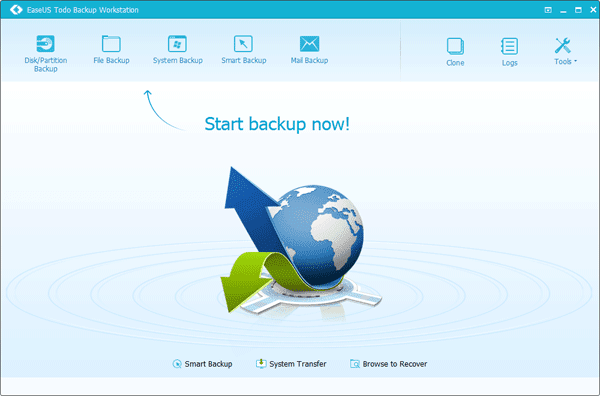 One of the best features that EaseUS Todo Backup provides is clone software, clone software is a simple and yet most advanced solution to move to a new PC without losing any of your file and even operating system. For example, you are upgrading your PC or you just want to upgrade your hard drive, you can make an exact copy of your hard drive through clone software and then restore it to the new hard drive. You’ll just feel like you are using your old PC. It also has the free incremental backup to save your time and disk space.The incremental backup only backs up changed files taking less storage space and producing a smaller image file. EaseUS supports all the latest hard drive standards and takes full benefit of the modern technology. Todo Backup comes in three versions to choose from. A free version, a home edition and a workstation edition. You can choose the edition that suits you the most. Full, Incremental, Differential, Schedule backup and disk clone are offered by all the editions. The Home edition provides all of the above features plus email notifications, full technical support and Outlook backup and recovery. The Home edition costs you just $29. Then there is a workstation version which, along with all the features of the free and home edition, offers business usage and lets to transfer system to a different PC, Virtual PC or VMware. Todo backup workstation will cost you $39. Todo Backup is compatible with Windows 7, Windows 8, Windows 8.1 and Windows 10. You can download the desired version of Todo backup here.